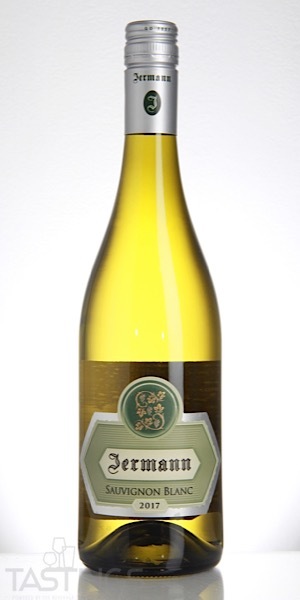 Bottom Line: A very concentrated Sauvignon Blanc with an outgoing personality. 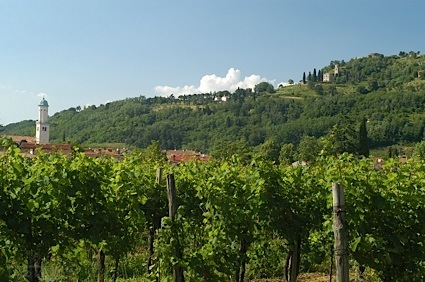 Sauvignon Blanc in Italy - usually labeled simply as Sauvignon - is a rich, often assertive dry white with very good to excellent depth of fruit, tangy acidity and a light herbal streak. This is especially true of Sauvignons that originate in cool climate regions such as Alto Adige and Friuli. While some versions are aged for a bit in oak, most are made in steel tanks, preserving the spearmint, melon and gooseberry perfumes. These wines are ideal with shellfish (especially mussels and clams) as well as seafood risotto or asparagus. Sauvignon is also produced along the Tuscan coast, especially in the Bolgheri district. These versions are also high in acidity, but less assertive in their herbal profile. These are quite rich and should be paired with serious seafood, such as halibut, tuna or tilapia. Jermann 2017 Sauvignon Blanc, Venezia Giulia IGT rating was calculated by tastings.com to be 93 points out of 100 on 10/3/2018. Please note that MSRP may have changed since the date of our review.